In my early 20s one of my absolutely favourite books was Anne Tyler's The Accidental Tourist. The lure of Macon Leary's reclusive, idiosyncratic lifestyle contrasted with Muriel Pritchett's charming extroversion helped me figure out my own place in the world and where I wanted to fit, and who I wanted to be. I identified so strongly with the characters in that book in all their diversity, yet had never read anything else by Anne Tyler until this month when I picked up Dinner at the Homesick Restaurant. I didn't know what to expect, but I don't think I was expecting it to be quite as bleak as it was. The Tull family is a cautionary tale of bad parenting and communication failure. Abandoned by her husband, Pearl Tull raises her three children on her own. Each of the children is scarred in secret and unknown ways by this void as well as by their mother's emotionally closed off personality. I found this story frustrating because of the lack of emotional resolution, and the blindness that each of the characters deals with and never overcomes. Each is searching for a way to satisfy some deep need: one son is overwhelmed by his ambition for control, money and power, the daughter is incapable of being serious about anything or of maintaining a marriage, and the youngest son searches for a loving home life, first at the home of his friend, later in his creation of a home-style restaurant. This book left me cold. I didn't connect with any of the characters, even with the telling of the story from many different perspectives (which was stylistically very well done) I failed to really invest in the challenges or dramas. I just found myself getting more and more frustrated that none of these characters would stand up for themselves - or take a stand about anything! The youngest son, Ezra, is so determined to have the whole family around the table together eating, yet his efforts are constantly belittled and undermined by every member of the family. Still he never stands up for himself. It made me wonder why they didn't all just cut their losses. 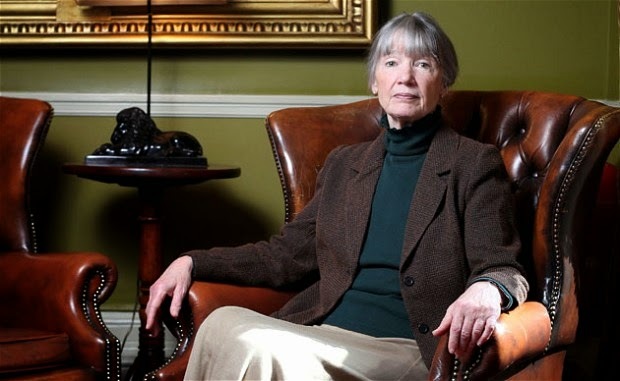 I know that Anne Tyler is a well-loved author who has won the Pulitzer Prize and that her novels are included in countless syllabi in American secondary and post-secondary schools so clearly I am in the minority in my disappointment. This was very easy reading and I did find the changing points of view refreshing but although the style allowed me to make it through to the end of the novel the content felt unresolved and contrived. I often think of a quote I heard years ago: "If you can't be a shining example at least be a cautionary tale." Clearly I enjoy books about shining examples much more than cautionary tales. I too become frustrated when I read about overly passive characters. It is like I want to jump into the story and help them take the initiative :) I do think that these sort of personas are realistic as I know some real folks who are like that. Perhaps the reason it bothers me so much is that it's one of the qualities I most try to avoid myself. "A novel is a mirror!". Thanks for your comment, Brian. It is ages since I read any Anne Tyler - not sure if I read this or not - I feel I must have but reading your reiew possibly not. My favourite of hers was The Amateur marriage and Breathing lessons. I, too, loved Anne Tyler in my 20s. I read all of her work, enjoying each one, and now I can't separate them, what a shame to be at a loss of words after reading your fine post. But, I do like the occasional cautionary tale. It reminds me that we live, sadly, in a very fallen world. I might have wondered as I was reading this if I'd missed my "Anne Tyler window" except for the fact that I re-read The Accidental Tourist again last year and loved it more than ever. I am learning how important it is to align my reading to my mood and my psychic aspirations for the most beneficial reading experience. It's like a dance, isn't it? Feeling low - read something cheerful to counterbalance, or read something sad to give a sense of affinity? Sometimes I miss the mark! A summer, a few years back, I was obsessed with Anne Tyler and I read lots of her books in quick succession, but I haven't read the accidental tourist or dinner at the homesick restaurant. I'll definitely read the accidental tourist; it sounds very special and I'll keep the dinner at the homesick restaurant for the days I want to read something bleak; I'm actually intrigued by this book now. It was your post, Angeliki, that prompted me to buy Back When We Were Grownups and to revisit Anne Tyler! I loved your description of the marriage and I do look forward to reading it. Perhaps it will be best suited to the sunny days of July when I'm feeling especially upbeat. I highly recommend The Accidental Tourist. I loved the interplay between all the quirky characters, and the very distinct personality types. I went through phase in later teens and early twenties when I inhaled her novels too, especially the early ones, reading at such a pace that, now, I cannot say what I did and did not read at the time. The Accidental Tourist was a favourite (and the film too) but I can't distinguish between the others. More recently, I've been impressed by the fact that I often think, at the half-way or three-quarters mark in her newer works, "well, nice, but....", and then find myself bereft when I've finished, surprised at how much the story affected me as a reader. She really does have an amazing way of drawing you in to a story! I can exactly picture every interior scene, every outdoor scene, every exchange as if I had actually been present and part of the event. Her style reminds me of a literary version of what was dubbed The Ash Can School of art in early twentieth-century America. They tried to depict real life with all its grit and dirt to get to the truth of human existence. I think that's what Anne Tyler does. She takes us inside the dysfunctional family and brings it into focus. I suppose we become attached to the characters in all their naked humanity. I think I've grown to appreciate this novel a little more with a bit of distance. I think it's really just the ending that felt wrong. Thanks for your comment, BIP!